OUR CLOCK represents the last seven years of the "Common Era" (C.E. or A.D. Anno Domini) traditionally reckoned as the era following the conception or birth of Jesus of Nazareth, with C.E. counting the years since the start of this epoch. THE TIME on the "Prophetic Clock", is shown as "7 minutes 'till Midnight", reflecting the last seven years of this age, which is the point in time that we are rapidly approaching now. This of course referring to the seven years of the "Great Tribulation Period", the final end of this age and the start of the next, the coming Kingdom of Christ on Earth for the next 1000 years. 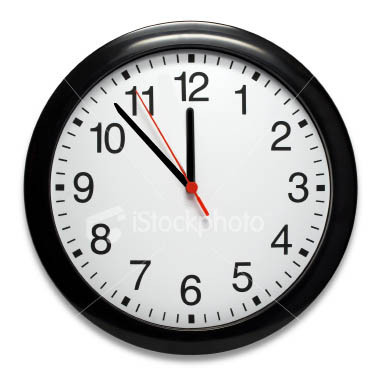 The time on the clock will ONLY change when that day finally arrives; until the final minutes start counting down it will remain at (11:53 C.E.). This IS NOT the "Doomsday Clock" either (at least not for the "saved" believers), but reflects a time for great rejoicing in the next age that is coming and a message of hope and salvation for the rest of the world; all those who have not found the love and grace of the Lord God yet. We will be doing this series completely different than our other permanently posted listings here, in the way that we will be changing the content and updating it on a regular basis. We will be keeping the material current with relevant events and rotating the featured articles between our blogs and other sources to keep you as well informed as possible - VISIT HERE OFTEN! KEEP PRAYING for the PEOPLE of JAPAN, LIBYA and the OTHER DISTRESSED AREAS of the WORLD that are EXPERIENCING STRIFE and TURMOIL at this TIME. WITH THE MORE THAN ADEQUATE COVERAGE OF THESE WORLD EVENTS IN THE CURRENT MEDIA, WE WILL NOT BE FEATURING THESE SPECIFIC TOPICS HERE THIS WEEK. NOTICE: SOME RELIGIOUS SOURCES HAVE RECEIVED BAD PRESS THIS WEEK FOR THE WAY THEY HAVE REPORTED CURRENT WORLD AFFAIRS IN REFERENCE TO PROPHECY BECAUSE OF INDIRECTLY INDICATING THAT CERTAIN EVENTS MAY BE THE RESULT OF "WRATH OF GOD" TYPE SCENARIOS. WE WOULD LIKE TO TAKE A MOMENT TO REMIND PEOPLE THAT SCRIPTURE DOES NOT REFLECT THAT THE LORD IS SPECIFICALLY GOING TO JUDGE OR PUNISH SOCIETY AT THIS POINT IN TIME OF OUR HISTORY. ALSO, THE UNFORTUNATE CONDITIONS IN THE WORLD TODAY ARE NOT DIRECTLY A RESULT OF THE HAND OF GOD OR HIS WRATH, BUT ARE THE OVERALL EFFECT OF NOT HAVING GOD'S PRESSENCE IN OUR WORLD AND HAVE BECOME TRAGIC FROM THE LACK OF GOD. THIS IS NOT GOD'S PLAN OR DESIGN AS HE WISHES TO SAVE THE WORLD AND SPARE US FROM THESE THINGS OUT OF HIS LOVE FOR US. IT IS NOT GOD'S FAULT IF THESE THINGS OCCUR BECAUSE OF MANKIND'S UNWILLINGNESS TO ACCEPT HIM AND EXTEND HIS LOVE TO OTHERS, BUT AS A RESULT WE HAVE ALL BECOME VICTIMS OF THE WORLD WE NOW LIVE IN. SIMPLY PUT - WHEN YOU REMOVE GOD'S LOVE AND CARE FROM THE OVERALL WORLD EQUATION, THIS IS WHAT HAPPENS BY DEFAULT. ALSO, PROPHECY IS INTENDED TO GIVE BELIEVERS THE ABILITY TO SEE THE "WARNING SIGNS" OF THE AGE AND COMING EVENTS SO THAT WE MAY BE BETTER PREPARED FOR THE INEVITABLE AND HELP THE SPIRIT OF THE LORD TO ENLIGHTEN OTHERS. LIKEWISE, CURRENT TRIBULATION PROPHECIES ARE NOT MEANT TO INDICATE THE LORD'S DIRECT INVOLVEMENT IN MOLDING THESE HISTORIC EVENTS OR TO CONDEMN PEOPLE EITHER. THESE EVENTS ARE HOWEVER THE RESULT OF THE CONDITIONS BEING PROMOTED AND SPECIFIC SITUATIONS CAUSED BY THE LORD'S ADVERSARY (EVIL). PROPHECY MERELY FORETELLS THESE VISIONS OF FUTURE EVENTS AS THEY WOULD OCCUR AS A RESULT OF THE WORLD'S CHOICES, NOT GOD'S. ONCE AGAIN, THE LORD'S PLAN IS TO PROVIDE SALVATION FOR US; TO HELP US ALL IN SURVIVING THE CURRENT TIMES, AVOID ETERNAL DEATH AND MAKE IT INTO THE COMING GLORIOUS KINGDOM AT HIS RETURN. THESE THINGS HAVING BEEN SAID - OUR EFFORTS WILL CONTINUE TO REPORT ON WORLD AFFAIRS FOR YOU TO BE BETTER INFORMED AND SHARE WITH OTHERS. WE WILL NOT SENSATIONALIZE THESE EVENTS OR DEMEAN THE IMPACT THEY ARE HAVING ON THE UNFORTUNATE AND SUFFERING PEOPLE WORLDWIDE THAT ARE SIMPLY THE VICTIMS OF OUR TIMES. PLEASE CONTINUE TO PRAY FOR THE INNOCENT AS WELL AS THE UNBELIEVERS, FOR THE WORLD DESPARATELY NEEDS OUR LOVE, OUR PRAYERS AND THE LORD'S SALVATION MORE THAN ANYTHING ELSE. IS THE SECULAR WORLD SUFFERING FROM "TRIBULATION DENIAL SYNDROME"? CNBC has described those Christians who ascribe Biblical or prophetic significance to events such as unrest in the Middle East or massive earthquakes and tsunamis as "Armageddon entrepreneurs." Jeffrey Weiss is a contributor to www.cnbc.com. He wrote: "Call them Armageddon entrepreneurs: preachers who view today's headlines as crib notes signaling the world is approaching its final days. These preachers scan news reports in search of events they say line up with biblical prophesies. The massive disaster in Japan last week gets instant analysis. 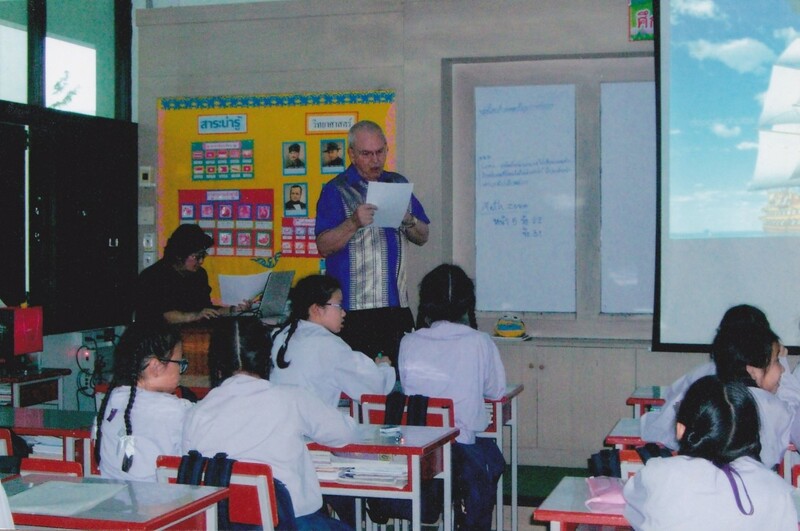 Other natural disasters tie in with political unrest, rising oil prices, and civil wars. For many of these worriers, the big kahuna is Mideast turmoil. And that means they're paying the closest possible attention to the latest events in Bahrain, Egypt, Libya, Saudi Arabia, and beyond." Now here's the kicker. With his own words, Mr. Weiss confirms what he condemns. He finishes, "Already, the first quarter of 2011 is a bull market for these end times predictors." Now, you don't have to be an "Armageddon entrepreneur" to see a pattern here. In fact, you have to be more like an "Armageddon denier" if you refuse to see the significance of these events, especially in the light of the fact that this list of 'signs of the end of the age' was defined by the Holy Scripture and Jesus Christ Himself. President of US Islamic Forum for Democracy tells ‘Post’ American Islamic groups refuse to engage on "separation of mosque and state." As founder and president of the American Islamic Forum for Democracy, he is also one of the most controversial Muslims in the United States. An aircraft created by scientists in Iran is, they claim, the world’s first flying saucer. Called the Zohal - or Saturn in English - it said the unmanned spaceship is designed for 'aerial imaging' but added it can be used for 'various missions'. The device belonging to the new generation of vertical flyers is designed for aerial photography. At the same time Iran’s Space Agency launched a test spacecraft designed to sustain life in orbit. The state IRNA news agency said the capsule was carried by a rocket called the Kavoshgar-4 (Explorer-4) 75 miles into orbit before returning to earth. Tehran’s ambitious space programme alarms the West because the same technology used to send missiles into space can be used to build intercontinental ballistic missiles. US computer security titan RSA said Thursday that hackers broke into its computers and swiped data that could be used to breach defenses of some systems guarded with its technology. "The cyber attack revealed by RSA today underscores the serious and sophisticated cyber threat we face," US Senator Susan Collins, a member of the Homeland Security and Governmental Affairs Committee, said in a statement. "The threat of a catastrophic cyber attack is real," she continued. "Attacks are happening now." Anti-government protesters have taken to the streets of the Syrian capital Damascus for a second day running but their demonstration was quickly quashed by security forces, witnesses said. Protesters in Damascus were calling for release of political prisoners by their public display of dissent in as many days. Government supporters and police armed with batons urged the demonstrators to go home, before arresting four people, witnesses told the Reuters news agency. The protest was quickly broken up by government supporters, the AP news agency reported. Iranian President Mahmoud Ahmadinejad in a meeting with Venezuelan Ambassador to Tehran David Velasquez Caraballo stressed Iran's eagerness to further develop relations with Caracas in all fields. During the meeting, he also said independent nations and governments would not be deceived by Imperialism's plots. "Independent and justice-seeking nations and governments have been vigilant against Imperialism's plots and would not be deceived by them," Ahmadinejad added. But the strong and rapidly growing ties between Iran and Venezuela have raised eyebrows in the US and its western allies since Tehran and Caracas have forged an alliance against the imperialist and colonialist powers and are striving hard to reinvigorate their relations with the other independent countries which pursue a line of policy independent from the US. TEHRAN (FNA)- A top Commander of the Iranian Army announced here on Wednesday that the country plans to boost its naval presence in the far seas and oceans in the coming Iranian year (starts on March 21). "We will find control over more waterways through dispatching fleets of warships of the Islamic Republic of Iran's Navy to the regions outside the Persian Gulf," the commander stressed. Fear of a nuclear catastrophe in Japan slammed world stock markets Tuesday, shredding $1 trillion in equity valuations as investors poured money into government bonds. "Traders figured a major geopolitical event would be the catalyst for a sharp sell-off in equities - nobody figured a natural disaster would be the trigger," he added. "Add in both Japan and the problems in the Middle East, plus the talk about an overbought market, and we're headed for ugly times in equities." A Christian man charged with blasphemy died on March 15th in a jail cell in Pakistan. Qamar David was awaiting an appeal of his blasphemy conviction in Karachi. He had been in jail since 2006. "While there is no proof either way at the moment, it is true to say that both Qamar David and his lawyer received threats of violence regularly throughout the course of his time in prison, and at nearly every court hearing in his case," says a representative of Christian Solidarity Worldwide. Kathmandu - Political turmoil is crippling the Nepalese security system and endangering the lives of Christians and other religious minorities. The government has not yet appointed a minister of the interior and for months the police have no funds for operations and is without a security program. Narayan Sharma, bishop of the Protestant Church claims that "there is no security in the country and our pastors are subject to continuous threats and violence. Many believers do not want to come to church for fear of assaults and attacks and remain locked in their house." Recently the police foiled a series of attacks by the Nepal Defence Army (NDA), an extremist Hindu group, against Christian churches and public buildings. The House of Representatives voted Thursday to eliminate (NPR) National Public Radio's federal funding – and to prohibit public radio stations from using taxpayer money to pay NPR dues or to buy NPR programs, reported Tony Avelar of The Christian Science Monitor. ISTANBUL — Thousands of people marched in central Istanbul on Sunday to protest a crackdown on the press in Turkey after the arrest of more than a dozen journalists this month. The government also denies claims by opponents that it has been seeking to silence vocal critics through legal action and called on people to respect the investigations, which they describe as Turkey’s confrontation with undemocratic military practices. Gaza escalation may prompt Israel Defense Forces to hit military wing leaders, army says; Hamas: Don't test us. The latest escalation in Gaza rocket attacks on southern Israel may lead to assassinations of Hamas military wing leaders, the IDF warns, with army officials saying they cannot discount this possibility. Washington Post says Obama administration weighing dialogue with Lebanese militant group's political wing, in an effort similar to that attempted by U.K. in its dealings with Sinn Fein in the 1990s. Writing of the effect recent Mideast turmoil may have had on Obama's decision to accept these recommendations, the Washington Post writer said that the "political time bomb ticking away in the [intelligence report] is the question of whether the United States should seek some kind of direct or indirect engagement with Hezbollah — at least with its political wing." During the predawn hours Tuesday morning, Israeli commandoes boarded and seized control of a ship sailing in international waters with a cargo of advanced weapons bound for the Gaza Strip. The Victoria was flying a Liberian flag at the time, but is German-owned and French-operated. Israel had been monitoring the ship for the past week. When it departed from Latakia, Syria on Monday, Israeli intelligence accurately assessed that it was carrying a cargo of illicit arms. The ship docked in Turkey later on Monday, presumably to deflect attention, before sailing south toward Egypt. The Israeli navy intercepted the ship as it passed some 200 miles off Israel’s Mediterranean coast. Palestinian leader Mahmoud Abbas told Israel Radio on Monday that the brutal massacre of a Jewish settler family by a Palestinian terrorist was "despicable, inhuman and immoral." But Israeli Prime Minister Benjamin Netanyahu insisted that until Abbas’ actions match his words, he is just shedding crocodile tears. The two leaders spoke by telephone on Saturday, when Abbas called Netanyahu to express his condolences over the attack. But for Netanyahu, it was not "diplomacy as usual," not in the face of such a savage attack. "Violence should be condemned not only because it contradicts the political interests of the Palestinian Authority," Netanyahu reportedly told Abbas. "I expect you to stop the incitement against Israel in schools, textbooks, and mosques, and to educate your children toward peace just as we are doing. The murder of sleeping babies is murder for the sake of murder." In a program aired repeatedly between February 21-24 of this year, PA TV honored the "martyrs" of the Democratic Front for the Liberation of Palestine. One of those "martyrs" was Habash Hanani, who in 2002 infiltrated Itamar and killed three students at the local high school. Palestinian Authority summer camps and sporting clubs are also usually named after prominent terrorists. Israel argues that by holding aloft as heroes those who kill Israeli men, women and children, the Palestinian Authority is encouraging young local Arabs to follow in their footsteps. After all, who doesn’t want to be a hero? A Palestinian terrorist on Friday night quietly slipped into a home in the Samarian Jewish community of Itamar and butchered five members of the family living there as they slept. The terrorist missed two-year-old Shai Fogel, who was sleeping in another room. Also surviving the attack was 12-year-old Tamar Fogel, who only returned home from a friend’s house after the attack was over. With the help of a neighbor, Tamar woke her sleeping brother who then unlocked the front door that the terrorist had locked to cover his escape. Palestinian leader Mahmoud Abbas and Prime Minister Salam Fayyad issued vague condemnations of the attack, reiterating that they are against all violence that targets civilians, but clearly trying to draw a parallel between the massacre of the Fogel family and Israeli anti-terror military operations. "In the last days, God says, I will pour out my Spirit on all people. . .
WASHINGTON (Reuters) - Producer prices surged in February at their fastest pace in 1-1/2 years, data showed on Wednesday, a day after the Federal Reserve said it had a watchful eye on inflation pressures it expects to subside. In another reminder on Wednesday of headwinds facing the economy, the government said groundbreaking for new homes posted the biggest drop in 27 years in February and permits for future building reached a record low. TUESDAY, March 15 (HealthDay News) - The cholera epidemic in Haiti this year will be far worse than the 400,000 cases predicted by the United Nations, new study findings indicate. "The epidemic is not likely to be short-term," Dr. Sanjay Basu, a UCSF medical resident, said in a university news release. "It is going to be larger than predicted in terms of sheer numbers and will last far longer than the initial projections." Rome - The impact of the current crisis in Libya on food security is a cause for serious concern both in Libya and surrounding countries due to the region’s dependency on cereal imports, possible disruptions to the flow of goods and services and population displacements, FAO said today. "The ongoing crisis will likely have a significant impact on food security in Libya and in nearby crisis-affected areas. In Libya, the situation may lead to a sudden disruption of imports and the collapse of the internal distribution system. World Food Situation - Food Prices are at an all time high going into 2011.
International cereal prices continue to increase in the first half of December. Prices of wheat and maize are about 50 percent higher than a year ago. evacuated due to the floods and landslides triggered by days of heavy rains. The rains which have been falling over Brazil's southern region in the past week have already caused 10 deaths and left 25,000 people homeless, local authorities said on Monday. HONOLULU - Authorities say lava from a volcano eruption in Hawaii has sparked a wildfire in Volcanoes National Park. kilauea (kih-luh-WAY'-uh), one of the world's most active volcanoes, has been in constant eruption since Jan. 3, 1983. SYDNEY - A 6.5 magnitude earthquake has struck in the Pacific Ocean near Vanuatu but officials say there is no danger of a destructive tsunami. Vanuatu is part of the Pacific "Ring of Fire" - an arc of faults around the Pacific Ocean where most of the world's earthquakes and volcanic activity occur. 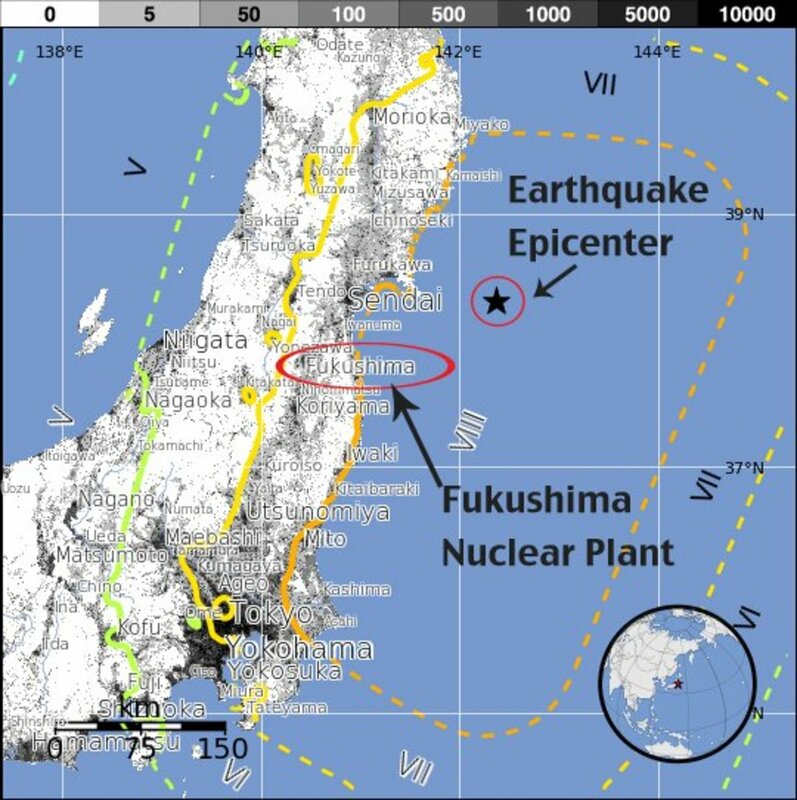 (CNN) - The powerful earthquake that unleashed a devastating tsunami Friday appears to have moved the main island of Japan by 8 feet (2.4 meters) and shifted the Earth on its axis. Reports from the National Institute of Geophysics and Volcanology in Italy estimated the 8.9-magnitude quake shifted the planet on its axis by nearly 4 inches (10 centimeters). EARTHQUAKE ACTIVITY has been on the rise lately! Over the last decade hundreds of earthquakes have left hundreds of thousands dead, and millions homeless. In the last few years alone a large increase has occured not only in the frequency but also the magnitude and severity of earthquakes. We are going to review Revelation to observe what it says about the three beasts of the last days. They are the Dragon, the Antichrist and the False Prophet. We call this the Unholy Trinity for this reason. The Messiah did not take the throne. He had to deal first with the problem of sin. It is in reality predominantly the sin of unbelief. A person cannot keep commandments and law if he does not believe. There is a Message of HOPE for the WORLD! Even though everything we have discussed and shown thus far seems to depict a tragic and fateful end for our world, that is actually NOT THE CASE! The state of humanity's existence does not end in chaos or complete destruction at this time. Nor will these events leave the whole world in a panicked state of confusion, always to be frustrated in futile attempts trying to achieve a Utopian existence. 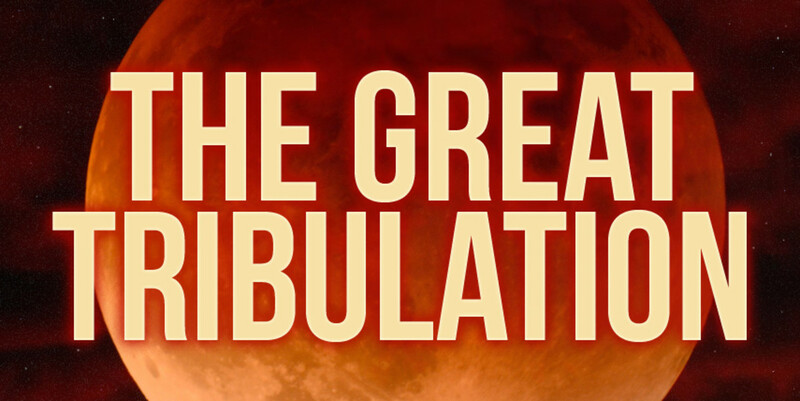 The "Great Tribulation" period is only for a few short years and is merely a transitional period at end of an age. A NEW AGE IS COMING immediately thereafter! This is probably the most accurate representation of the entire "Great Tribulation" event. "Birth pains" are very discomforting and often quite painful. A new birth involves "labor" which is an extremely strenuous and exhausting process (ask any woman who has endured this). The end result however, is "relief" from this labor and suffering because a "new life" is then born! That is exactly what will transpire in this world. We are in the final chapter of an old and worn out age of civilization. 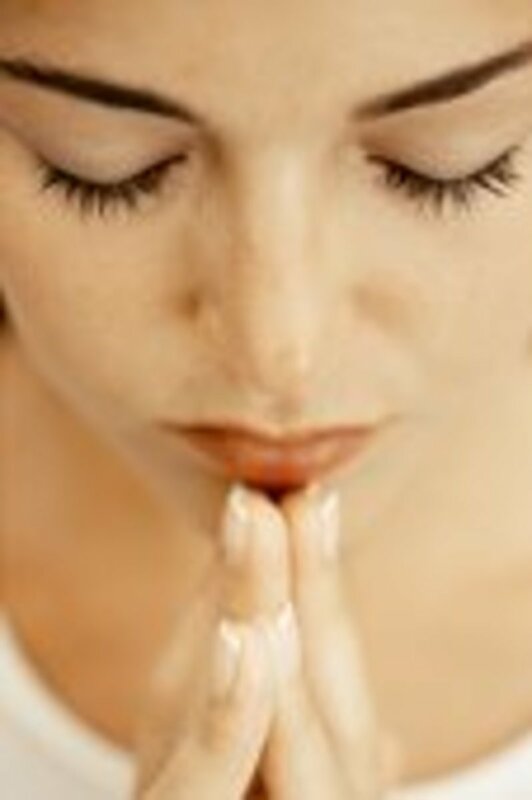 A grand and glorious new age lies directly ahead for those of us that endure and have accepted the Lord God. "These are they who have come out of the great tribulation; they have washed their robes and made them white in the blood of the Lamb. Therefore, they are before the throne of God and serve him day and night in his temple; and he who sits on the throne will spread his tent over them. Never again will they hunger; never again will they thirst. The sun will not beat upon them, nor any scorching heat. For the Lamb at the center of the throne will be their shepherd; he will lead them to springs of living water. And God will wipe away every tear from their eyes." Therefore, these sometimes frightening words of prophecy are really a harbinger of hope to those who are searching for God today. It is through the belief that Christ died for our sins (John 3:16) and faith in His second coming (1 Thessalonians 4:14-18), that we are all "saved" and will enter into the coming Kingdom of Heaven along with Him. 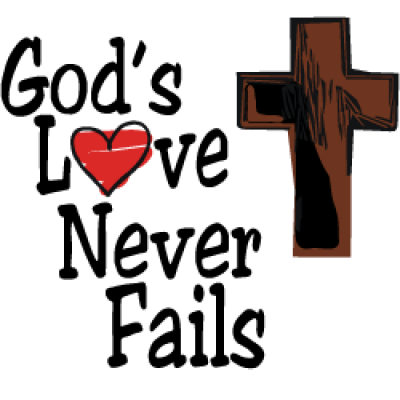 SIMPLY SHARE the LOVE - Receive the FREE Gift of Eternal Life! DIRECTORY - Article archive listing - We will be changing the content and updating this News Series on a regular basis. New articles and material will be posted weekly to reflect relevant current events and news updates pertaining to the coming age. America's Communist Revolution! : Terrifying Change Without Hope! President Obama is currently laying down the infrastructure for transforming the United States government from a democracy into a socialist republic. The MASTER PLAN to RULE the WORLD - Author Ted Flynn reveals the greatest deception in modern history – corporations, foundations and governments converging to bring about a New World Order. Is Prophecy Unfolding in Current NEWS Headlines - or Not? @Tamarajo - Hi Tamara and thanks for stopping by. Stay vigilant and persevere in helping to awaken the lost. Be blessed always. His Kingdom comes! @RevLady - Hello sister Saundra and thanks for the remarks. May your efforts likewise prevail in awakening the masses and sharing the gospel. @olgakhumlo - Sister Olga, I've added your family and church into a couple of different prayer groups I use for ongoing mention and support. Stay strong always in Christ. Rev.Ted I'm delighted to know about the deep concern you have for the lost and especially for our church and the youths.Please continue to pray for them,for I can perceive Satan's forces trying to rip us apart.Certainly God has burdened your heart.Thank you very much.May God continue to bless you and your family. An interesting hub. Thank you for sharing your thoughts about the signs of the times and the end times. It is indeed time for the sleeping giant to awake. Rev. Ted: Thank you for your clarification. I am certain, and I believe that we are witnessing many a prophesy in our days. It is my personal belief from what I have come to understand bothe from Revelations and from other scriptural writings I have read, that Jesus return for the redeemed, both living and dead, must take place prior to the seven years of the Great Tribulation. Those who are believers must be redeemed by Christ, before the rest of the world is made to suffer. The Holy Spirit keeps impressing this on my mind and heart, and the Holy Spirit cannot and would never lie, not to me or any other. I will never know the date or the time of the Great Tribulation, and Armegeddon the finally, but I do know that no believer alive or dead will be on earth prior to these events. I also understand that after the seven years of The Tribulation Christ will again ask for believers, just prior to Armegeddon.The last chance. What the first paragraph (talking about the "Prophetic Clock") refers to is: "The time on the clock will ONLY change when that day finally arrives"... meaning that the "minute hand" of the clock has NOT started moving or counting down yet. Those last seven minutes would refer to the common belief in the number of 7 Years during the "Tribulation Period" as you had noted, which conclude with its ending in the "Battle of Armageddon", on the last day and when Christ returns to claim His Kingdom on Earth. The scripture passages (Matthew 24 & Luke 21) are probably the better examples of what we are seeing right NOW in world news headlines, being described as the "beginning of birth pains" (Matthew 24:8 NIV) "begining of sorrows" (Matthew 24:8 KJV) which begin to occur just prior to the beginning of the "Great Tribulation". Also, using the "birth pains" analogy, just like in real child birth, these sufferings become progressively MORE severe as the actual "birth" approaches (the "birth" being the next Age or the return of Christ). Unfortunately, this also means that what we are seeing now is MILD in comparison to what lies ahead before Christ returns to claim and establish His Kingdom on the Earth. 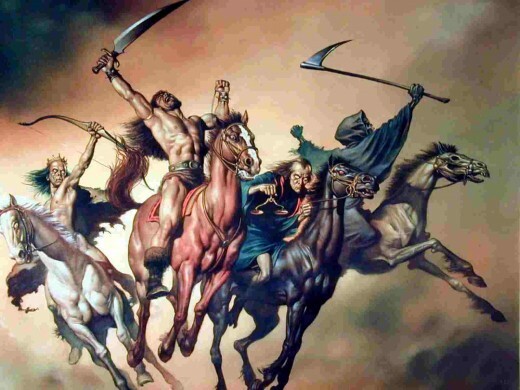 What some theologians are also starting to agree on, is that what we are seeing in news headlines when compared with what Christ said in (Matthew 24 & Luke 21), may likewise be compared with the "4 Horsemen of the Apocalypse" mentioned in the first part of (Rev. 6), and more so the first horseman (white) which also heralds the "eve" of the "Tribulation Period" (once again just prior to its starting). As far as the "Rapture" event is concerned, there are a few schools of theological thought and belief in the scripture translation supporting "Pre-Trib", "Mid-Trib" and (Post) "End-Trib" viewpoints. Personally I have researched these opinions for many years and can find an EQUAL amount of scripture to support BOTH the "Pre-Trib" and "End-Trib" views, but this debate is much more complex and left for another article (not here). What scripture does confirm is that the Bilbe is very specific and accurate about some points and is intentionally vague on others (such as the "Rapture") for a certain reason. These are more of God's "mysteries" yet to be revealed (Daniel 2:47; Ephesians 3:11; Revelation 10:7) and points of the prophecy such as in the Books of Daniel and Revelation that were specifically ordained by the Lord to be "sealed" and not to be written in the scripture. The scripture does MORE IMPORTANTLY emphasize the fact to simply BE PREPARED at ANY GIVEN MOMENT. This one event may not ever become completely evident until it has actually occurred. There are however "more tangible" events described in other verses of scripture prophecy that are benchmark signals for the actual beginning of the "Tribulation Period" (which have not occurred yet either). A few examples are: a conflict between Syria and Israel (Isaiah 17:1) which is likely soon to come (resulting in the destruction of Damascus), and may also result in an overall peace treaty (short-term) in the Middle East with Israel (Daniel 9:27) which the world is also NOW currently pushing for as well (between Israel and Palestine). That being said, its indicates once again that we are at the "eve" just before the beginning of this time. Likewise, if we are to understand that a "day" in prophecy equals one year in real world terms, and if we are near the "eve" of these events... well, just doing the math it would appear that we are down to the wire. Rev. Ted: Now you have me confused, although not concerned. You have stated that the time on the "Prophetic Clock" indicates the time of the "Great Tribulation of (7 Years) and its winding down. My confusion arises because before the "Great Tribulation" is to begin, Jesus must dispatch the angels of heaven to carryout the "Rapture" first calling forth those followers of Jesus that have died, and then collecting up all the followers of Christ Jesus on earth. Just those on earth, constitutes totally 1/3 of the entire earth population. Since this Rapture of the believers in Christ, both dead and living has not taken place, how is it we are already in the time of the "Great Tribulation" According to the "Prophetic Clock"? Truly we are seeing and have seen many of the signs that lead up to these coming Biblical events, but the Rapture or the gathering up of the Righteous has yet to take place, and only after it, can the seven years of great tribulation begin. Praise God He's coming for me and our church! Thank you for this truth unveiling hub.Wonderful .We're surely praying for the lost.